Thanks to Meme Oshino, high school student Koyomi Araragi is able to remain a human after coming across a female vampire. However, since the incident Koyomi seems to meet girls who have apparition-related issues. 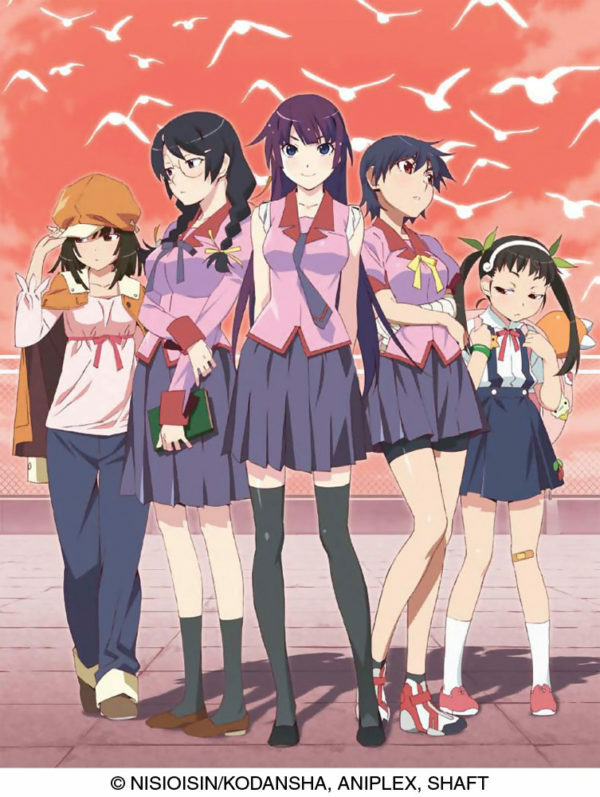 Hitagi Senjyogahara doesn’t weigh anything, Suruga Kanbaru’s right arm becomes like that of a monkey’s, and a young girl, Mayoi, cannot find her way home no matter how many times she tries. Koyomi, a “Mr. Nice Guy,” ends up helping each and every girl solve her problem with the help of Meme Oshino. Contains episodes 1-15 and a 36-page booklet featuring character designs. Special Features: Character Audio Commentary (subtitled), Textless Openings and Endings, TV Version Previews, Promotional Video. Be the first to review “Bakemonogatari Blu-ray Complete Set (S) Limited Edition” Click here to cancel reply.